Mr. Stang, a founding partner of the firm, has broad experience in bankruptcy reorganization. He has acted as a chapter 11 trustee and receiver in numerous cases, primarily for car dealerships and real property cases. Mr. Stang has lectured and written extensively on both bankruptcy and receivership issues. He is a graduate of UC Berkeley and received his J.D. from Hastings College of Law, where he was editor in chief of Hastings International and Comparative Law Review. He holds an AV Peer Preeminent Rating, Martindale-Hubbell’s highest recognition for ethical standards and legal ability; has been named “Super Lawyer” in the field of Bankruptcy & Creditor/Debtor Rights every year since 2005 in a peer survey conducted by Law & Politics and the publishers of Los Angeles magazine, an honor bestowed on only 5% of Southern California attorneys; and was selected by Best Lawyers in America. 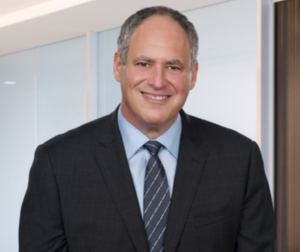 In 2010, the Century City Bar Association named him “Bankruptcy Lawyer of the Year” and in 2011 he was inducted as a fellow into the American College of Bankruptcy. Mr. Stang is admitted to practice in California, and is a resident in our Los Angeles office.